When FDA scientists were asked to weigh in on what was to become the most radical and potentially dangerous change in our food supply — the introduction of genetically modified (GM) foods — secret documents now reveal that the experts were very concerned. Memo after memo described toxins, new diseases, nutritional deficiencies, and hard-to-detect allergens. They were adamant that the technology carried “serious health hazards,” and required careful, long-term research, including human studies, before any genetically modified organisms (GMOs) could be safely released into the food supply. But the biotech industry had rigged the game so that neither science nor scientists would stand in their way. They had placed their own man in charge of FDA policy and he wasn’t going to be swayed by feeble arguments related to food safety. No, he was going to do what corporations had done for decades to get past these types of pesky concerns. He was going to lie. When the FDA was constructing their GMO policy in 1991-2, their scientists were clear that gene-sliced foods were significantly different and could lead to “different risks” than conventional foods. But official policy declared the opposite, claiming that the FDA knew nothing of significant differences, and declared GMOs substantially equivalent. This fiction became the rationale for allowing GM foods on the market without any required safety studies whatsoever! The determination of whether GM foods were safe to eat was placed entirely in the hands of the companies that made them — companies like Monsanto, which told us that the PCBs, DDT, and Agent Orange were safe. GMOs were rushed onto our plates in 1996. Over the next nine years, multiple chronic illnesses in the US nearly doubled — from 7% to 13%. Allergy-related emergency room visits doubled between 1997 and 2002 while food allergies, especially among children, skyrocketed. We also witnessed a dramatic rise in asthma, autism, obesity, diabetes, digestive disorders, and certain cancers. In January of this year, Dr. P. M. Bhargava, one of the world’s top biologists, told me that after reviewing 600 scientific journals, he concluded that the GM foods in the US are largely responsible for the increase in many serious diseases. If GMOs are indeed responsible for massive sickness and death, then the individual who oversaw the FDA policy that facilitated their introduction holds a uniquely infamous role in human history. That person is Michael Taylor. He had been Monsanto’s attorney before becoming policy chief at the FDA. Soon after, he became Monsanto’s vice president and chief lobbyist. This month Michael Taylor became the senior advisor to the commissioner of the FDA. He is now America’s food safety czar. What have we done? While Taylor was at the FDA in the early 90’s, he also oversaw the policy regarding Monsanto’s genetically engineered bovine growth hormone (rbGH/rbST) — injected into cows to increase milk supply. The milk from injected cows has more pus, more antibiotics, more bovine growth hormone, and most importantly, more insulin-like growth factor 1 (IGF-1). IGF-1 is a huge risk factor for common cancers and its high levels in this drugged milk is why so many medical organizations and hospitals have taken stands against rbGH. A former Monsanto scientist told me that when three of his Monsanto colleagues evaluated rbGH safety and discovered the elevated IGF-1 levels, even they refused to drink any more milk — unless it was organic and therefore untreated. Government scientists from Canada evaluated the FDA’s approval of rbGH and concluded that it was a dangerous facade. The drug was banned in Canada, as well as Europe, Japan, Australia and New Zealand. But it was approved in the US while Michael Taylor was in charge. His drugged milk might have caused a significant rise in US cancer rates. Additional published evidence also implicates rbGH in the high rate of fraternal twins in the US. Taylor’s disclaimer was also a lie. Monsanto’s own studies and FDA scientists officially acknowledged differences in the drugged milk. No matter. 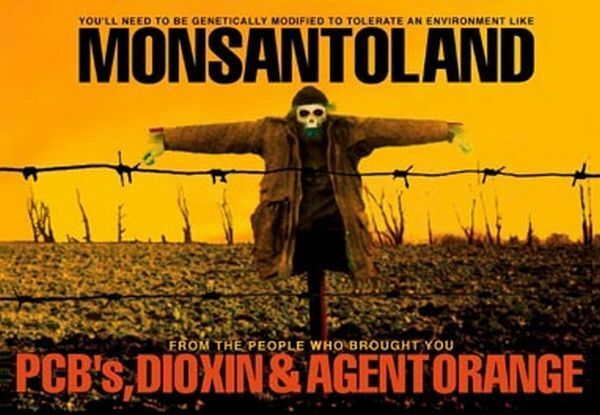 Monsanto used Taylor’s white paper as the basis to successfully sue dairies that labeled their products as rbGH-free. Will Monsanto’s Wolff Also Guard the Chickens? As consumers learned that rbGH was dangerous, they refused to buy the milk. To keep their customers, a tidal wave of companies has publicly committed to not use the drug and to label their products as such. Monsanto tried unsuccessfully to convince the FDA and FTC to make it illegal for dairies to make rbGH-free claims, so they went to their special friend in Pennsylvania — Dennis Wolff. As state secretary of agriculture, Wolff unilaterally declared that labeling products rbGH-free was illegal, and that all such labels must be removed from shelves statewide. This would, of course, eliminate the label from all national brands, as they couldn’t afford to create separate packaging for just one state. Fortunately, consumer demand forced Pennsylvania’s Governor Ed Rendell to step in and stop Wolff’s madness. But Rendell allowed Wolff to take a compromised position that now requires rbGH-free claims to also be accompanied by Taylor’s FDA disclaimer on the package. Rumor has it that the reason why Pennsylvania’s governor is supporting Wolff’s appointment is to get him out of the state — after he “screwed up so badly” with the rbGH decision. Oh great, governor. Thanks. Ohio not only followed Pennsylvania’s lead by requiring Taylor’s FDA disclaimer on packaging, they went a step further. They declared that dairies must place that disclaimer on the same panel where rbGH-free claims are made, and even dictated the font size. This would force national brands to re-design their labels and may ultimately dissuade them from making rbGH-free claims at all. The Organic Trade Association and the International Dairy Foods Association filed a lawsuit against Ohio. Although they lost the first court battle, upon appeal, the judge ordered a mediation session that takes place today. Thousands of Ohio citizens have flooded Governor Strickland’s office with urgent requests to withdraw the states anti-consumer labeling requirements. To hear what America is saying about GMOs and to add your voice, go to our new non-GMO Facebook Group. Jeffrey M. Smith is the author of Seeds of Deception: Exposing Industry and Government Lies About the Safety of the Genetically Engineered Foods You’re Eating and Genetic Roulette: The Documented Health Risks of Genetically Engineered Foods from Chelsea Green Publishing. Smith worked at a GMO detection laboratory, founded the Institute for Responsible Technology, and currently lives in Iowa-surrounded by genetically modified corn and soybeans. For more information, visit Chelsea Green.